KARACHI: An Anti-Terrorism Court (ATC) in Karachi issued a non-bail able arrest warrant for Muttahida Qaumi Movement (MQM) chief Altaf Hussain on Wednesday. The arrest warrant was issued for Altaf Hussain in a case pertaining to using threatening language against Pakistan Rangers Sindh personnel who raided the MQM headquarters ‘Nine Zero’ on March 11. The remarks were reportedly made during a Television interview. 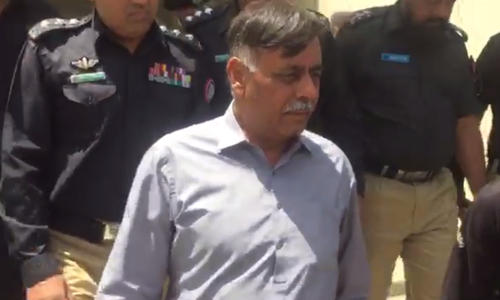 In the same case, the court (ATC) on August 1 accepted the charge sheet submitted by Sindh Police against MQM chief declaring him an absconder. During the hearing on August 1, the Investigation Officer Muhammad Naeem stated that Altaf could not be produced in court as he is not present in Pakistan. The First Information Report (FIR) of the case was registered in March at Civil Lines police station by Colonel Tahir of Pakistan Rangers. On July 29, an anti-terrorism court (ATC) in Gilgit-Baltistan (GB) also issued a non-bailable arrest warrant against Hussain as a result of multiple First Information Reports (FIRs) that were registered in the province. The FIRs were registered under sections related to treason and rebellion against the state of Pakistan. it's just propaganda, the way it was hatched against GEO..
Pakistanis seem to want freedom of speech but don't understand it. I don't like Mr. Altaf but this charge is ridiculous. He has the right to say anything he pleases. But he is in London living a happy and comfortable life. These warrants don't mean anything for him. The only people will be suffering and humiliated are his party members in Pakistan. Soon he will issue another provocative statement and stir another anger. Please provide justice to the Thatta girl seeking help from Madadgar who was abused and tortured, rather than filing FIRs, issuing warrant and distributing certificates of patriotism. Right or wrong, what Altaf Hussain said is his right to speak; you can not issue a warrant because some one said something. We are rolling back, it looks like this is Marshal Law again. Freedom of speech is ones right, please don't take this right from people of Pakistan. Where are the FIRs against Khuwaja Asif, Asif Zardari, Imran Khan and Sharif's for their comments against our great Pakistan Army? Politicized, biased and partisan LEAs are settling only personal scores and nothing else. Keep on doing this, it is making MQMs vote bank stronger everyday. @Rashid Freedom of speech and expressions have also boundaries in a same way when French magazine crossed the line and whole Muslim world got upset . Altaf Hussain is a British citizen. Any western power will never hand over its citizen to a 3rd world country like Pakistan. You can register 100 cases against Altaf Hussain, result will be same. Please don't waste your time and fool the pubic. AH will not come back from London. He has right to express his opinion. If your courts have courage then try Asif Ali Zardari. @homieSS Please do not try to split Pakistanis like this. Your remark is opposite to what this country is all about. We will survive only as ONE not seperated by ethnic differences. Be educated sir. @Sab Se Pehle Pakistan Why don't you go and open the FIR against Zardari and others? No one is stopping you. The reason is that we do not feel threatened from them. If you do please go to the local police station and open one. Better late than never. Arrest warrants has been issued against Altaf Hussain, MQM Chief, for using threatening language against Pakistan Rangers Sindh personnel. Efforts should be maid to bring him to Pakistan. Like wise Asif Ali Zardari must be brought back to Pakistan and charged for ridiculing the Army. The Defense Minister Khawaja Asif must also be charged for ridiculing the Army. Every case seems to be based on political revenge.On one hand govt. maligns MQM and on the other hand makes call to it's chief. @Zubaida Khan Imran Khan has the same non-bailable arrest warrant from ATC for attacking govt. installations during dharna. Maulana Aziz has the same non-bailable arrest warrant. They are both IN Pakistan. Did anyone care? The bias, the discrimination, the injustice will fire back. I think its time for him to change country. As in Pakistan and UK its not a very comfortable situation. @Sab Se Pehle Pakistan , you mean it's OK if head of other parties did it , then Altaf aslo do it, but there is diff , other leaders didnt ask for Forign help, those who did it did bad in Pakistan, not on forign soil , it would be good for you to change from Sab Se Pahle Pakistan to Sab Se Phale MQM. @Sab Se Pehle Pakistan - You are free to file FIRs against those you mention. Anyone can. Don't you think AH last diatribe (inviting foreign forces to invade) crosses all boundaries? Altaf has been living in luxry in London and playing with his own supporters life, reputation and respect. What freedom of speech??? Stay in safe and Luxry London play with Pakistan, Pakistan Rangers, law enforcement agencies and his own followers. Come to Pakistan then talk --- Coward. @homieSS you are wrong and trouble maker. It is not the question what language he speaks -- it is the question what he speaks????? I am a Punjabi you trying to say I am superior than him --- No -- Altaf claims to represent a community most educated and well established in Pakistan. Every one respects Urdu speaking people in Pakistan Urdu is the official language of Pakistan. Just hold your words next time this is not a freedom of speech. You think if you & Altaf say and do in Europe what you say and do in Pakistan you will get away in the name of freedom of speech?????????? I thought Asif Zardari also said the same things. Is he also under arrest? Hand him over to military courts now. Thousands of Karachites already lost their lives, can't bear that anymore! I don't see any point in issuing warrants of any type in Karachi. What is needed is Interpol red warrant to bring this man to justice in a country where justice is well and truly served. I like Altaf Bhai for his unfaltering stupidity on every account and getting away with it untouched by any LEA at home or abroad ! What a durable man of vices ! @homieSS : You are not a genuine Pakistani. Otherwise you would know, 95% of all Muhajirs of Partition were settled in Punjab and have never agreed with Altaf on anything. Altaf was born in Pakistan after 6 years of its independence and a born Pakistani, who can never be a Muhajir. 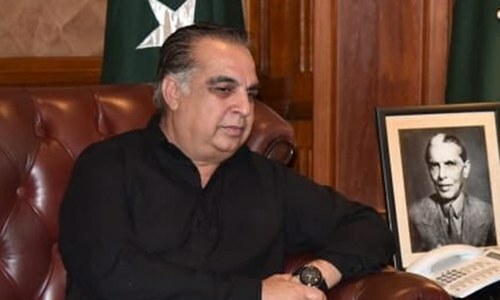 His parents were Muhajirs who were fully compensated, settled and integrated with all other inhabitants of Pakistan and he only got his Muhajir idea in 1984, after 31 years of his birth in Pakistan. This is not news. Warrants issued by Interpol will be! This news itself is a move towards new beginning. I have never understood how a Democracy like Pakistan has a major party led by a British citizen who lives in London. Does anyone seriously think that an arrest warrant issued by an Anti Terrorism Court in Pakistan carries any weight in the UK? Especially for "harsh language". Maybe Pakistan should consider adopting a law which says that if you want to be a player in Pakistan politics you have to actually live in Pakistan? Shocked to read comments justifying Altaf's speech as "Freedom of Speech" . Have you ever heard something like threatening someone ? Are you aware of law ? Thank you for the truthful statement! Finally someone made some sense. Is this a joke? The guy has been living in UK for past so many years and calling all the shots in Karachi - with so many of his followers. A legal case against him is absurd. As every one know he is NOT returning to Pakistan. Do we have an extradition treaty with UK, if so why it is not being followed thus far. @SALMAN - He would n't dare make a speech against Her Majesty's government. He is being sheltered by British government . Altaf Hussain is like a fruit cake, all mixed up but irony is that educated urdu speaking mohajirs listen to his gibberish. What a hypocrisy!!! Some people here who are singing freedom of speech song for this guy are exactly same who were bashing Zaid Hamid for his speeches and were "celebrating" his arrest. 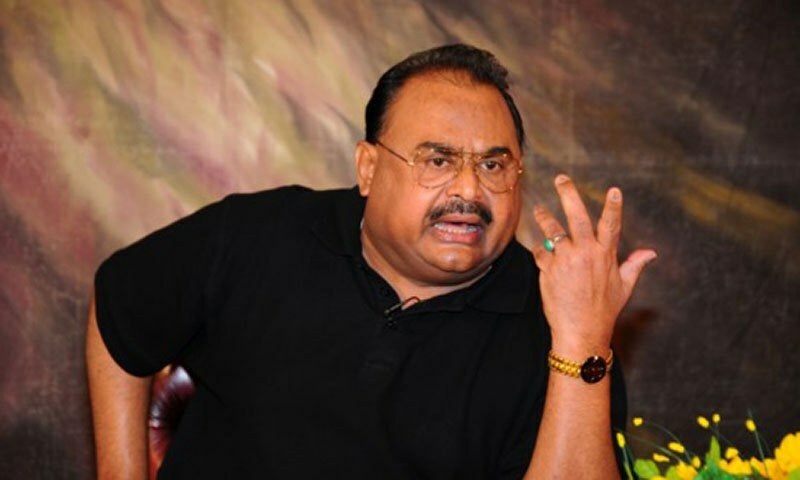 Altaf Hussain gave up his right to criticize in the internal affairs of Pakistan once he acquired British citizenship.